Gripping. Best book production I ever heard. Just a great production. Never wanted to hit pause. Voices of real investigators and victims. You will not regret buying this. Birth and death are the only two events that we all share. One is remembered and acknowledged every year and is considered a joyful celebration to enjoy. The other we bury deep in our subconscious and never talk of it. We don't just forget that we are going to die but rather most of us spend a lifetime passively terrified by the mere thought of it. What disappointed you about Infinity? At the 40 minute mark and have heard nothing of relevance to the fear of death. Unless you care to hear again about Donald Trump being the next coming of Hitler and how his followers will destroy the world. 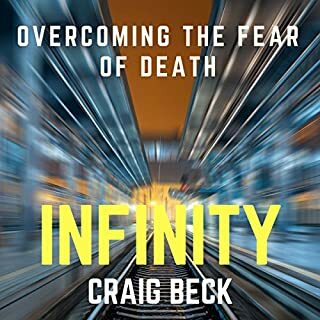 Has Infinity turned you off from other books in this genre? If you could play editor, what scene or scenes would you have cut from Infinity? 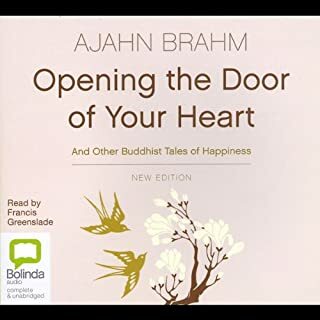 During his wanderings and work over the last 30 years as a Buddhist monk, Ajahn Brahm has gathered many poignant, funny and profound stories. While traditional Buddhist philosophy is at the heart of this collection, these thoughtful stories are written like playful parables, which are used to launch into a deeper exploration of subjects such as mindfulness, suffering, forgiveness, hope, wisdom, and unconditional love. Don't Hesitate! Wonderful and Inspirtational! One of the best books I have ever listened to. 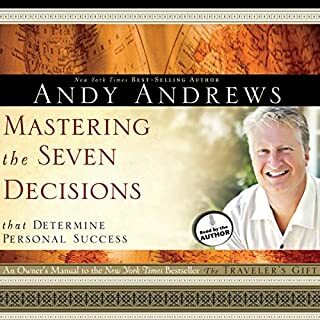 I have over 300 "self help" books here at audible. This ranks among the very best. Would you listen to Jealousy again? Why? I have already. 3 times in 3 days. Surprised. This book is wonderful. This book is abour respect for one another in a relationship. This book is about helping you take it easy on yourself. A chance for me to really enjoy reflecting on the importance of respect for my wife and myself. A good look at fundamental ideas on worth and sharing happiness. 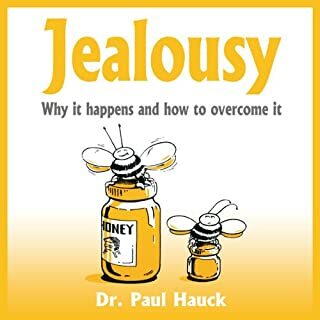 This is not psycho babble on jealousy. I mean the topics flow and are very interesting. No I am not an extremely jealous person. But I love my wife and she deserves to be treated, at all times, as an individual with free choice. (She is not property that I own) Her choice is to love me. And I will do everything and anything to cultivate that beautiful spirit in her. And I have learned so much on how I can improve my behavior and bring more to the table for her ..... and thus ..... to US! Great book!!! Oh. And I have over 300 self improvment books from audible. This is one of the best on relationships and just plain old loving the worth of different personalities. This book will bring you such freedom .... and your loved one will appreciate the change very quickly!! 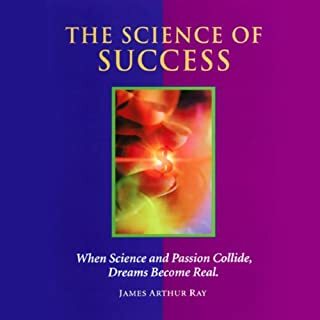 Using what he calls the Seven SuperLaws and the Seven Power Principles, James takes complex, time-proven concepts and combines them with fun stories and powerful anecdotes, presenting you with a proven path to your ultimate achievement. You will learn that you are able to achieve unlimited success by following a series of tested and proven actions. 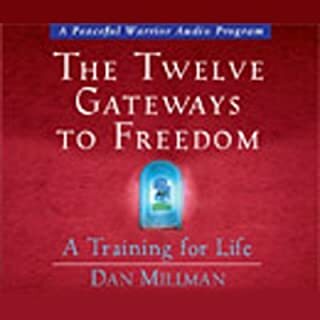 The Twelve Gateways to Freedom was recorded at a two-day live seminar based on material in Dan Millman's book, Everyday Enlightenment. Here, Dan presents the full scope of personal and spiritual growth. This is a winner. Hours of facintaing insights and incredible inspiration. Did not expect this at all. So much to learn here. Will listen and recommend this recorded seminar over and over again. Lots of funny moments as well. All of this info is presented in a very understanding and caring way. Lots of good meaning to life to be learned here for me. This is great book! How best to write any book review? OK. This book is for any person who desires a more quality day tomorrow. The book is full of stories that stunningly relate the diamonds of insights within. Huh? Hope that is not too corny a sentence....AND....BUY THE DARN BOOK! Just went over 200 books purchased from audible.com. This book rocks with the best! The Responsible Decision: The buck stops here. I accept responsibility for my past. I am responsible for my success. I will not let my history control my destiny. The Guided Decision: I will seek wisdom. The Active Decision: I am a person of action. The Certain Decision: I have a decided heart. Criticism, condemnation, and complaint have no power over me. The Joyful Decision: Today I will choose to be happy. Look no farther! Buy this book! 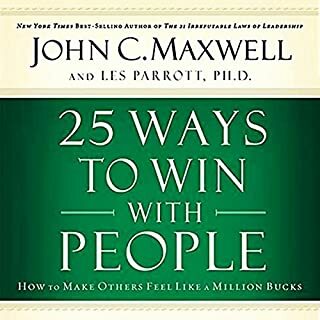 This is one of the best inspirational books, of over a hundred, that I have listened to through the years. This is one of the few that you will listen to numerous times. The feel of the stories and concepts hits home on so many fronts. 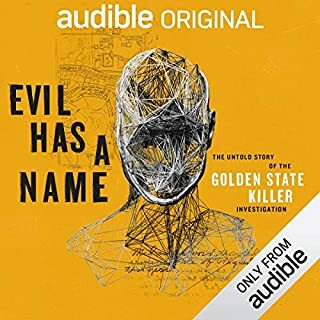 Because I do put a lot of value on other reviews at audible.com I feel motivated to write a review here. And still I have only done this a few times. This book is just that good. My hope is that you might find the same vigor for life that this audio book unfolded in me. Have a great day and I really mean that. The book is over 10 years old. Do not let that stop you. 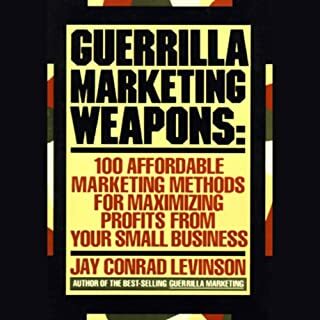 This book gets the imagination into marketing overdrive in a 100 wonderfully different and powerful ways. Barrett Whitener brings the book to life with utter clarity and inspirational pointedness. The book, the narraration, and the effects, are timeless. Buy it!